Snow storms show up out of the blue and can be very unpredictable. Collentro is equipped to handle all types and sizes of storms. 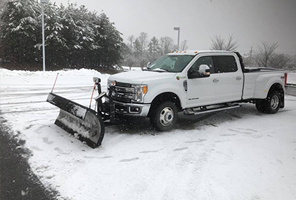 We have truck mounted plows for parking lots and driveways, skid steer mounted plows and snow pushers for large parking lots and atv mounted plows for small parking lots and sidewalks. Call and sign up early for a seasonal discount or call the day of we are here to help.